Throughout the world Owls represent watchfulness, wisdom, healing and the ability to soar soundlessly from this world to other realities. If you observe those with Owl as their birth totem, you’re sure to see these magical and mystical traits. 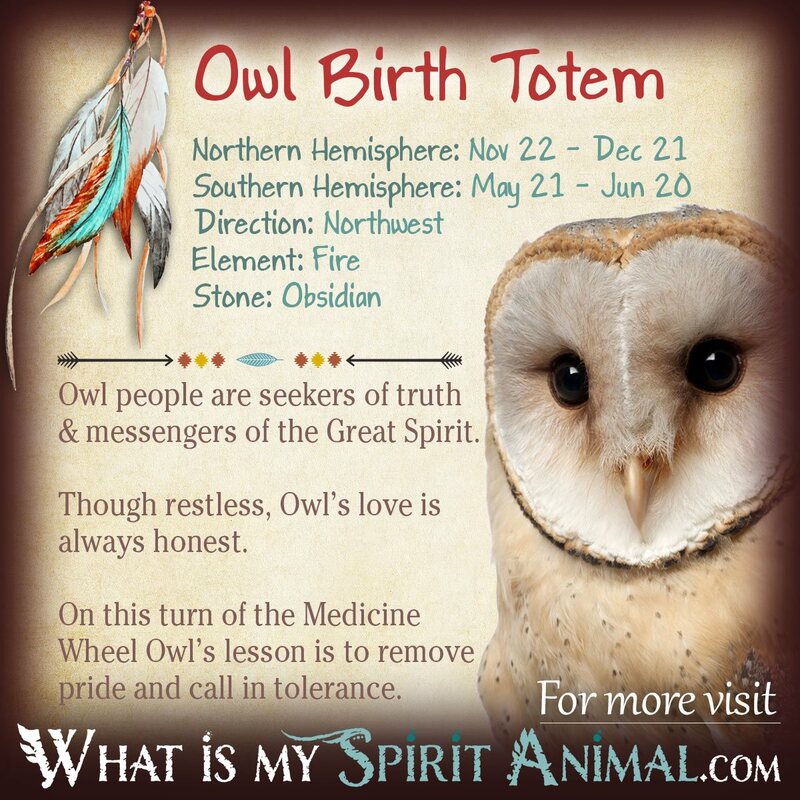 If you were born between November 22 and December 21 in the Northern Hemisphere or between May 21 and June 20 in the Southern Hemisphere your Native American Zodiac birth totem is Owl. In the Western Zodiac tradition this corresponds to the ever keen-sighted Sagittarius (North) and the charming (and confusing) Gemini (South). Those born under the sign of the Owl have tenacity that borders on being down-right stubborn. Their ceaseless determination and uncanny sense of purpose makes them excellent at securing their heart’s desires through old fashioned hard work. Sometimes this leads an Owl toward being a little possessive and dogmatic. But when their famous wisdom kicks in success takes to wing! It is then that Owl discovers genuine humor, independence, and a thirst for understanding those things beyond our normal insights. As children, Owls are restless spirits and don’t really know how boisterous they’re being. They are also prone to exaggeration. Nonetheless, with time and maturity Owl discovers their keen insight and learns how to apply that “outer voice” for wise, direct and reliable counsel. We learn much of the Native American Zodiac symbolism for Owl from its natural traits. Owl will intently watch any pray from an advantageous position. This allows Owl to wing silently and scoop up the prize. Owl people are much like this. It’s very hard to surprise an Owl even in unfamiliar territory. Owl people are typically very optimistic. They endeavor to find those good things about people or situations, even if it’s the color of their socks! That enthusiasm makes Owl a great leader, provided they can resist the temptation to fly off to a different adventure where they can see more, do more, BE more before they’ve really finished the current lesson. Owl people can become walkers between the worlds and may discover a thirst for Shamanic traditions. These mysterious and magical beings are keenly intuitive and have little patience for insincere, artificial people. Keep it real with Owl, and this person will reward you with fantastic insights including into the very Mysteries that haunt all ages. If you are friends or a partner to an Owl, you’re in for some glorious adventures! Owls know how to laugh, make spontaneous choices and always endeavor to remain true to their ethics and beliefs. Owl’s honesty is refreshing, but they may need a little gentle assistance in the tact department. Owl’s season is that of hibernation and long nights, so the enthusiastic nature of Owl acts as a lovely balance point to the darkness. Owl’s element is Fire, which is certainly reflected in Owl’s zeal and exuberance. Owl joins Falcon and Salmon as part of the Falcon clan. Those born under these Native American Zodiac Signs reflect amazing confidence, bravery and just enough pluck to put a fire under everyone around them. The sacred stone for Owl is the powerfully clairvoyant Obsidian that allows Owl to recognize and transform negatives into something magical. Owl’s flower is Mistletoe, which has long been a sacred vine used for spells of love, peace and transformation. The compatible animal spirits for Owl include Raven, Otter, Deer, Salmon and Falcon. Partners of the Owl will find a person who will not suffocate with jealousy and control. Owl’s need to be able to take to wing and celebrate freedom. This means you have to give them space, but in return you’ll receive more than you may have dreamed of. Because of their independent nature, Owls need a partner who is fun-loving, adventurous, and wholly honest to keep the relationship alive. 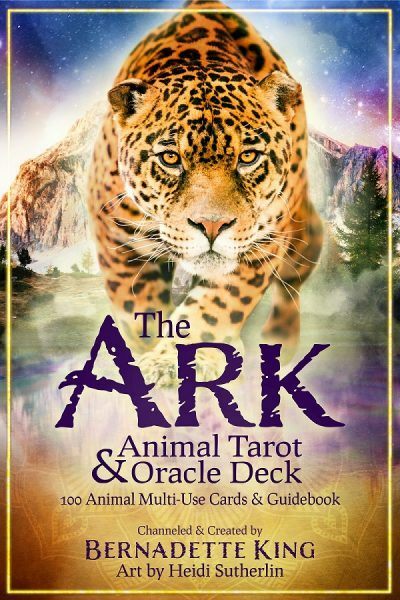 The Native American Zodiac indicates that Owl people relish occupations that stimulate, challenge and offer plenty of opportunities for clever multi-tasking. Whatever you do, don’t let an Owl get bored! As a flying forest creature its not surprising that Owls can’t handle tiny cubicles. They’re also rather disdainful of political correctness and societal convention. However, the passion for learning leads Owl into many successful venues where they rise quickly above others. Freelancing is ideal for Owl as is anything involving travel. Ok so when I went to oklahoma to meet my father’s side of family theytold me that they had Cherokee blood in our family. So I decided to live here, became a citizen of the Cherokee nation and started living the older way of life. An owl was killing my dad’s chickens and he cause the animal doing it. It was a great horned owl. First time I ever seen one before. Dad told me to “take care of it” and I stood there and couldn’t do it.i loaded it up and took it 20 miles down the road. Took the cage out of the truck and it hissed at me. Scared me half to death. But when I looked into it’s eyes I opulent help but stare back. They were to beautiful. Larger and golden. I talked to it to hopefully calm it down while I took the cage out and opened the latch. Again never new anything about them until that day. When I opened the latch I expected it fly away. It was dusk. It took 5 hops and then turned around and stared at me. It didn’t do anything but stare. After awhile I left and came back 3 hours later and it still was sitting there. I felt sorry for what I did. And gave it a chicken breast left over from dinner. Left again and came back and he was gone. 1 month later I was driving down a back road and seen a barn owl you right over my truck. Was thinking wow what a rare sight. About a mile down the road I hit 3 deer at once. I kid you not. Ever since that I was doing research on the animal and came across this site. I have to say I was hopping it would be a bear or a wolf. But after reading about the owl it completely shocked me. It was like reading about my self. Don’t know what your thoughts are one the matter, but let me know. Thank you. And I apologize about the spelling and grammar. I came across this page while researching a hand made ceramic totem I had found discarded this morning. It had the owl at the bottom on one side with a woman on the other side behind it. Above the owl, at an angle, is a stag head and above that, facong the same direction as the woman, is another bird. Possibly the raven? Would have to be quite stylized, however. Anyway, I liked it and brought it home (I need to replace the bird beak, however), and now reading that the owl cam be new beginnings, I’m wondering if it is going along with an old property I loved that, yesterday I just got email notification on, is back on the market. I am also trying to get project sponsors. Then today I find this totem. Could there be something to this??? Someone trying to tell me something?? ?